Motorized window blinds were considered as a luxury affordable only to the elites as it was costly and needed heavy maintenance charges. But thanks to the advent of technology and other factors, today the price of motorized blinds, shades, and draperies has dropped significantly. Hence, all homeowners now can embrace motorized window coverings and enjoy better convenience at homes. Traditional window coverings came with cords and wands which usually created a big fuss. Homes with young children, the elderly people and people with dexterity issues always found it difficult to deal with these cords and wands. However motorized blinds and draperies have no such issues. They come with a remote control and courtesy of their automatic system, there are easy to operate. Various varieties of motorized blinds are available in the market. The hardware blinds are very common while RF radio frequency and battery-operated ones are a popular choice among homeowners as well. The common aspect about all types of motorized blinds is that they can be operated using a handheld remote or by a wall switch. All it takes is one click to open and close these coverings. The price of a battery-operated system along with a remote control starts at around $550. The cost of the shade is dependent on its size. Where are motorized blinds effective? If you have young children at your home, then the traditional window coverings are sure to cause you a nuisance. The window cords lurking at every window are a possible threat as you never know what mischief children can come up with. To eliminate this risk, motorized blinds are most-effective. They have no hassles of cords and wands. Hence, children are safe in your home. Traditional window coverings require a person to lift the blind. However, if the window is large or too big then the weight of the blind becomes too heavy for one person to lift it. This causes inconvenience and operating the window covering becomes a challenge for a person. Motorized coverings are operated using a remote or a switch which makes it easier for anyone to operate them. If you are looking for patio and lanai enclosures then these motorized window-covering systems are ideal. This accessory is what makes motorized window coverings a luxury. Several models offer more than ten shades in the remote control. The Hunter Douglas model lets you group up to 16 shades in one remote control and you can even name every shade in the remote control for better controlling. The sun sensor is used to control the window coverings according to the intensity of the Sun. The sun sensor is kept on the window glass and it is attached to the main system. The sensor identifies Sun’s intensity and moves the coverings accordingly. Several motorized window coverings are equipped with a programmable timer which allows you to set the timing of the coverings. This timer comes in handy when you are on a vacation and don’t wish to compromise the security of your home. You can program the system to follow regular window routine while being away from the home. Motorized window coverings bring a host of benefits to your home. 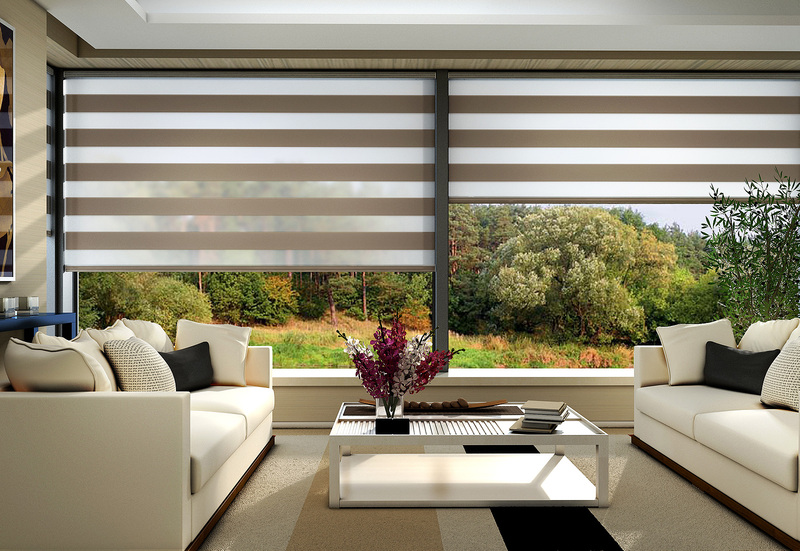 If you have any doubts or want to discuss further about motorized blinds and draperies, then feel free to contact us. Our team members will be happy to help you and will also offer advice on how to install these window blinds at your home.